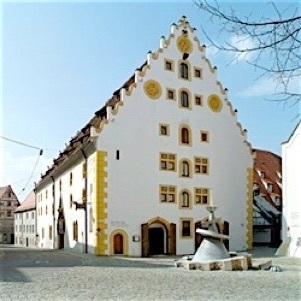 The 2019 Paneth Kolloquium is a combined meeting with the Annual Meeting of the Collaborative Research Center Late Accretion onto Terrestrial Planets (TRR 170) and will be held in the historic “Klösterle” (little monastery) in the medieval town of Nördlingen. Nördlingen is located in the center of the Nördlinger Ries meteorite impact site (~20 km diameter). The Paneth Kolloquium is a European meeting that brings together students and researchers from different fields of cosmochemistry, planetology and astrophysics. Traditionally, the Paneth Kolloquium is held in those years in which the annual meeting of the Meteoritical Society is held outside Europe. The 2019 meeting will be organized by Jutta Zipfel (Forschungsinstitut und Naturmuseum Senckenberg, Frankfurt, D), Andreas Pack (Universität Göttingen, D), and Harry Becker (Freie Universität Berlin, D).